The ArtWorksBook will not only do that for you but will also make your painting experience a whole lot easier which translates into a lot more fun. 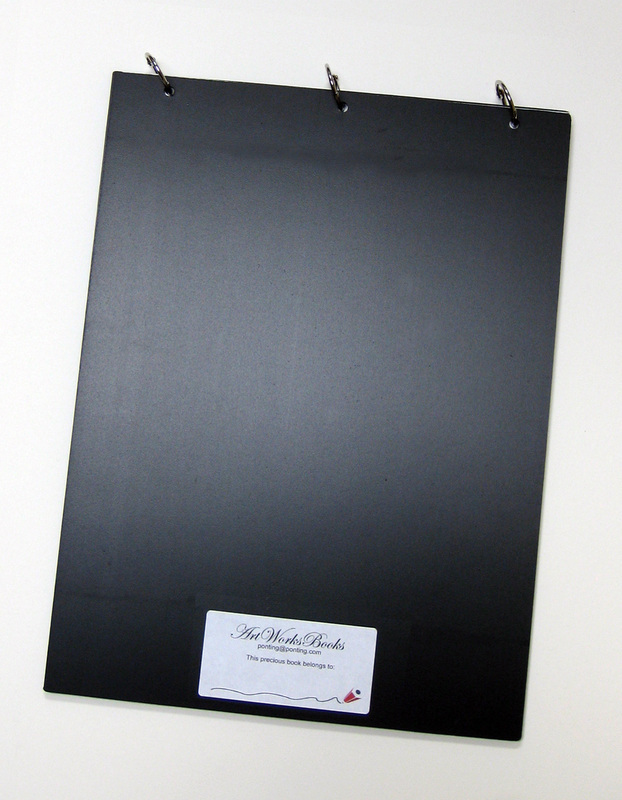 Our hard durable covers organize and protect the contents and provide a stiff surface on which to work...on table, lap or easel. For each new project you need only turn to the next page and clamp the entire book onto your easel. We found that 11 x 15 in. (29 x 38 cm) is a handy size to travel with and only our book allows for a standard finished size of 11 x 14 after the ring holes have been cut off. An added bonus of using a page of this size page is that it divides u﻿p nicely i﻿nto one 8 x 10 ﻿﻿plus﻿﻿ one 5 x 7 painting. 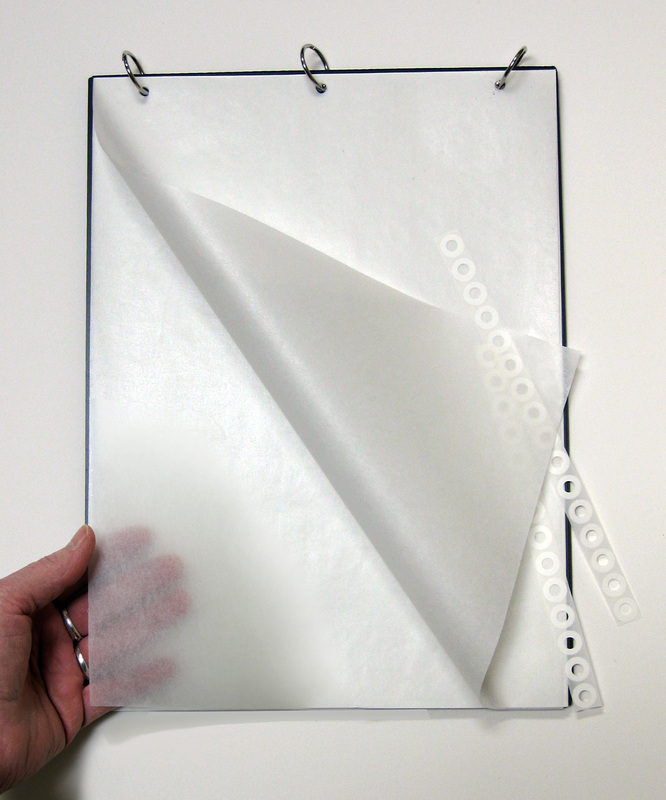 Our book is held together with three snap rings in your standard 3-hole punch configuration making it easy to add and remove paper. 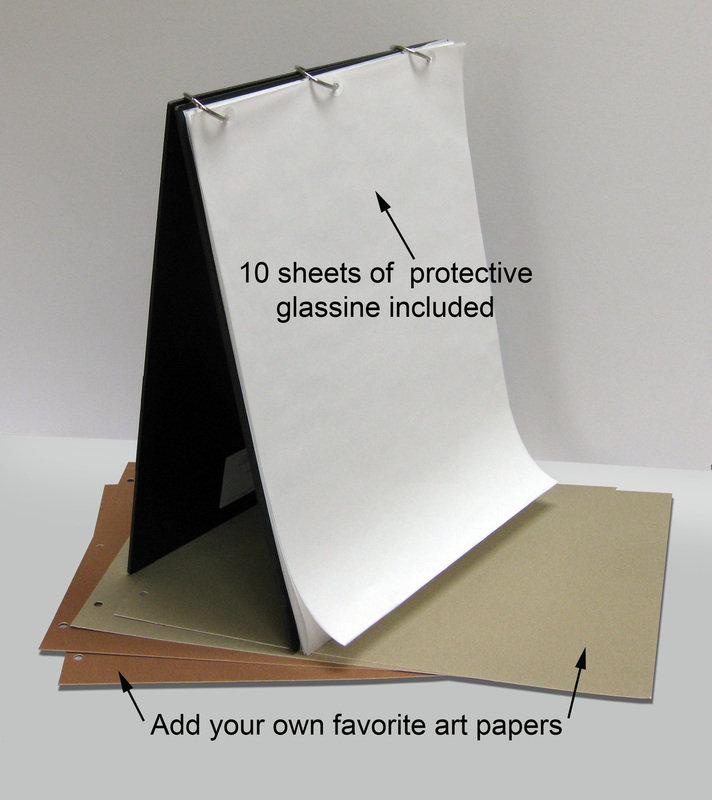 Because choice of art paper is so very personal, it is not supplied with the book but it does come with 10 sheets of glassine with reinforced holes to separate and protect your work.